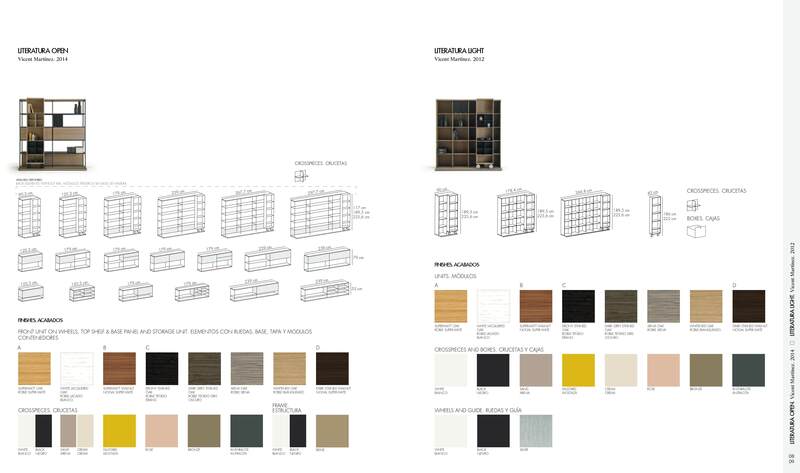 The 2014 update of the the classic 'La Literatura' bookcase designed by Vicent Martinez. The open version makes Litaratura even more versatile with the inclusion of drawers, cupboards and desks etc. The crosspieces are made from steel allowing a for larger open shelves, this model contains one storage unite with drawers and one with a drop down door in grey Siena Oak. 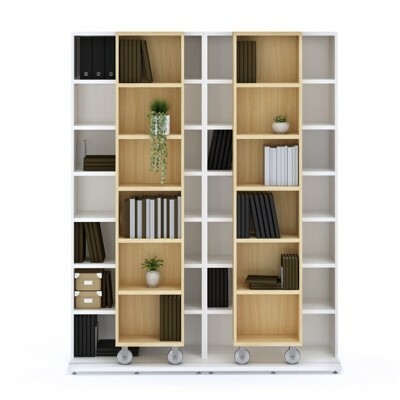 The modular system can be combined as many units wide as necessary and the wheeled units added as required. A lower version can also be used to create sideboards.